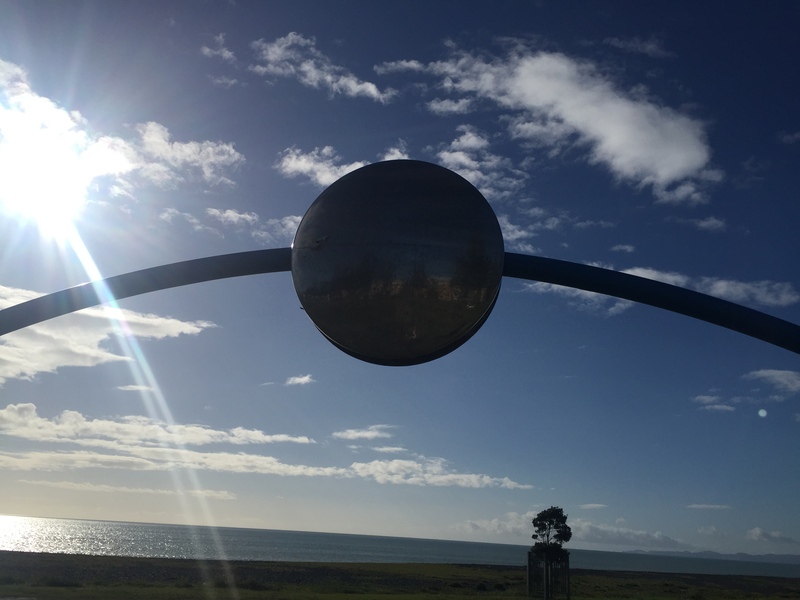 Hawkes Bay Delights – What is Style? There is nothing better than getting away for the weekend and seeing parts of your own country never seen before. With this in mind, my friend and I decided to visit Hawkes Bay and take in some sight-seeing, vineyards and shopping. We’d done a bit of research before we left – on the list was to visit So Vintage a French Antique, vintage and industrial store; as well as Blackbird Goods which was full of carefully crafted, handpicked quality lifestyle goods. Of course we had to find a fashion fix which we got when visiting Aroha + friends who sells NZ designers including Miss Crabb, Zambesi and Karen Walker. I was tempted to buy some Zambesi sunglasses but resisted!! Although not a wine drinker we went to Trinity Hills and Craggy Range vineyards. It wasn’t a particularly warm day, however could imagine how nice it would be for anyone who appreciates a nice wine, to be sitting outside enjoying the sun and scenery. There isn’t much open on a Sunday, so we ended up visiting Havelock North and found a boutique store called Papillon where we both managed to find something to cram into the small weekender suitcase. They sell World, Diesel, Trelise Cooper, KowTow plus lots of other labels. If after wandering around the shops, you are looking for a coffee – Wright & Co is the best cafe in town. It was packed on the overcast Sunday afternoon we were there, but we managed to find a table street-side. We started our days walking along the Napier waterfront in the morning sun, followed by breakfast at Mister D’s. Service everywhere we went was excellent; there was enough to keep us occupied for the weekend mini-break away. I am not sure how long it will be before I return, as the plan is to visit a different part of the country every year. The question is where to go next? I now want to go to Hawkes Bay! I haven’t been to Napier since I was little – did you see many of the art deco buildings?